Retirement Planning – Kickstart Your Successful Retirement. Greetings and welcome - the site has had a makeover!! This has challenged my "technical skills" to the limit. But now it's set up and working. However if you find that something doesn't work for you please contact me and I'll fix it!! Thanks for the indulgence, enjoy the site and please sign up. The mere words "retirement planning" are enough to make most people want to reach out for another glass of wine!!! Or cup of coffee ... or whatever stress reliever works for you. With disruptive changes barreling through our lives there seems to be little point in planning for the future. Where do you even start? Quite simply. The same way you'd start a marathon … with one small step. Then another one, then another one and then another one. ​"Retirement" - what does it mean for me? Its real, personal, unique meaning. 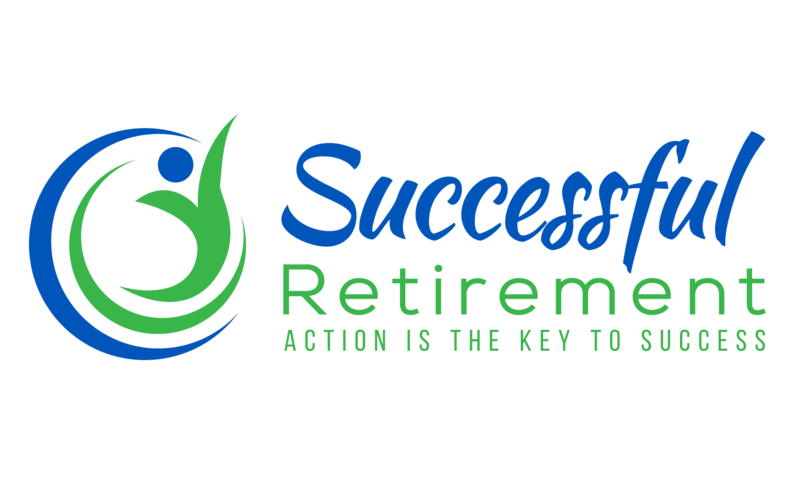 ​"Successful retirement" - what does "success" mean to me? It's easy to think about this in some clinical financial terms. Or based on some hope. Or what my friends and neighbours are planning. It's NOT just about financial issues and hopes and dreams. What kind of lifestyle would I like to have? When do I plan to stop working? How will my wants fit with my finances? Some of these questions may be quite easy to answer … but many have some devil in the detail. Who knows what the unknown and uncertain future will bring? Consider it a life risk management exercise. For many (or even most) people, their retirement years will be demanding and tough. The world has entered an unprecedented period in our world history. In America alone, every minute from 1 January 2011 until 31 December 2024, 7 people will turn 50 ... that's 10 000 a day … a total of nearly 80 million people. Wherever you go in the western world there are swelling waves of silver hair. With growing numbers facing uncertain financial futures. Having anxious, sleepless nights stressing about "retirement"! If that's you then you need to start taking control of your retirement destiny. Start your planning today … even right now! If you don't, you may have to depend on the generosity of others ... either your children, your relatives or friends … or unsustainable government handouts. If you don't take the driving seat you may be heading towards a degraded, horror story lifestyle in your later years. Wow! This is scary! And you may be asking yourself "why don't I just forget about all this planning stuff ... live for today ... and just let the future take care of itself" … and open another bottle of wine! Retirement planning is not a "one-off" exercise. The success of your retirement will depend on you making planning a part of your life. A living, ongoing process. Tweaking and adjusting. Being adaptable and flexing to the changes in your world. Planning for your retirement will make you one of a tiny minority of retirees who actually take control of their destiny. In a study of Harvard Business School MBA graduates from 1979, researchers found that ten years after graduation, the three percent who had written goals were making 10 times as much money as the other 97 percent combined. Other studies over the years have produced similar findings.People who write down their goals are more successful. Remember: People who write down their goals are more far more successful than those that don't! As you start thinking about your retirement planning you'll find some useful ideas, inspiration, challenges and advice.